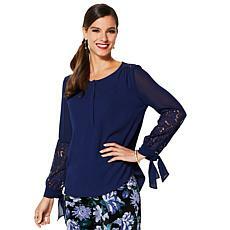 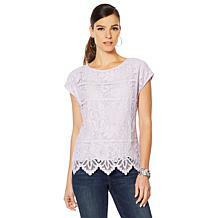 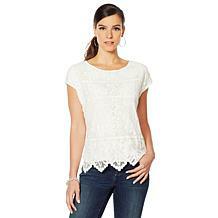 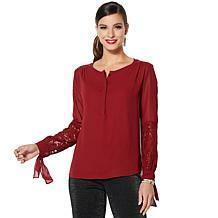 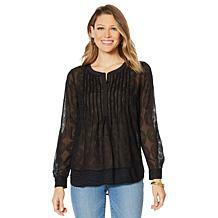 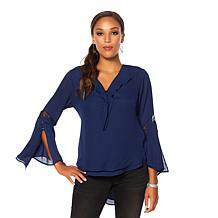 You'll be dressed to impress when wearing this elegant lace-accented blouse. 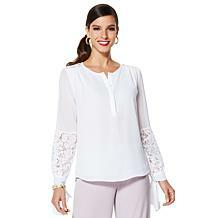 Paired with any of your favorite bottoms, create sophisticated looks that are ideal for work or play. 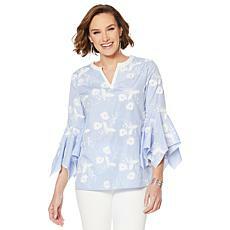 Hello, gorgeous. 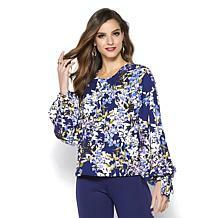 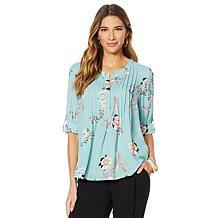 A fabulous choice for work or social, this iridescent blouse shines in any setting. Pair it with a pencil skirt for the office and jeans or ankle pants for a chic weekend ensemble. 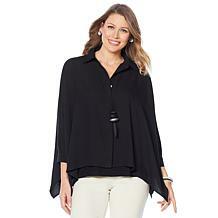 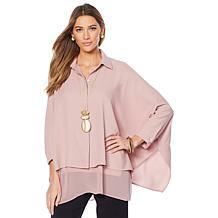 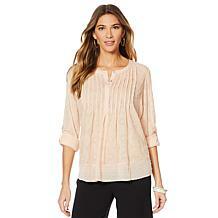 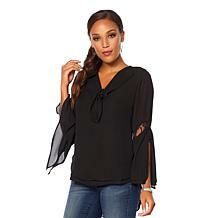 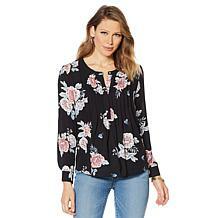 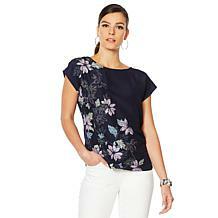 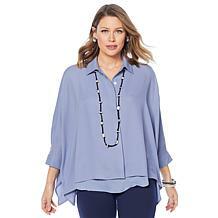 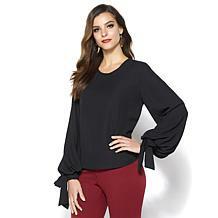 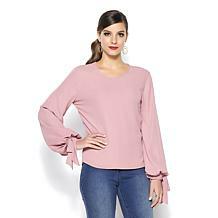 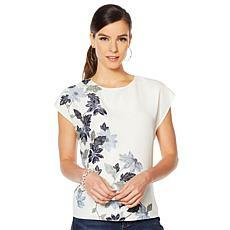 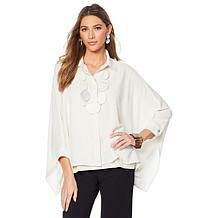 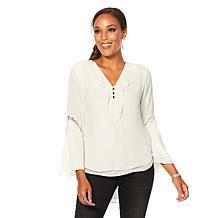 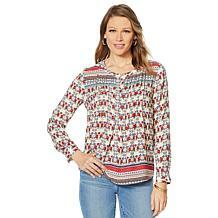 This comfy chic blouse features a modern, boxy silhouette. 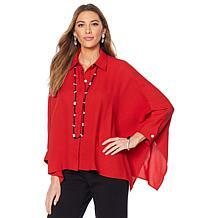 It's the stylish blouse that takes you through the week, effortlessly.